Wash you hands! How many times have you screamed said that? Out of those many times, how many times have you added "with soap?" It's a struggle for kids to slow down long enough to wash their hands especially with soap AND water. What if they knew how soap worked? Maybe you would struggle so much. And if unicorns can be involved in the teaching? 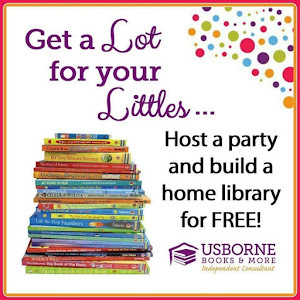 Well what kid wouldn't love that! We recently had the privilege of reading Zoey and Sassafras: Unicorns and Germs. 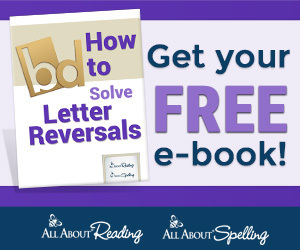 We received a copy in exchange for our review, and we love it! If you are not familiar with Zoey and Sassafras, Zoey is a smart little girl who helps magical animals by using science. Seriously, could it get anymore awesome? 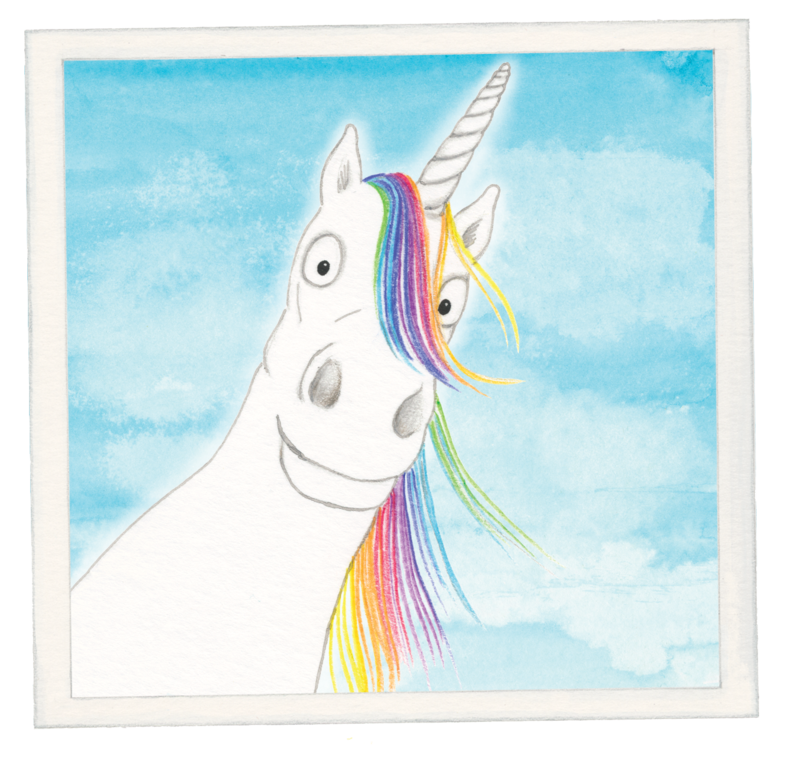 This book did for my kids because it included a unicorn! The poor unicorn had and infection, and Zoey solved the problem. While soap didn't kill all the unicorn's germs, we know soap is a great defense against people germs. So washing hands regularly as well as washing cuts and scrapes with soap is always a good idea. 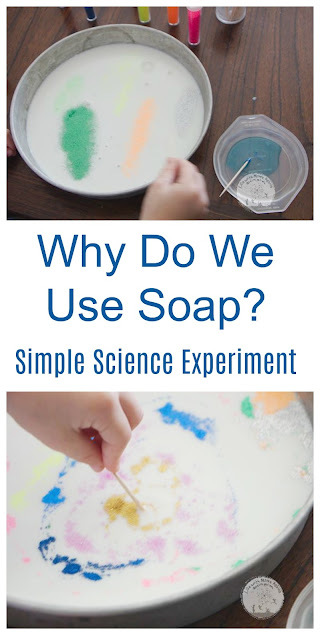 To prove this too my kids, we had to show them how soap works! 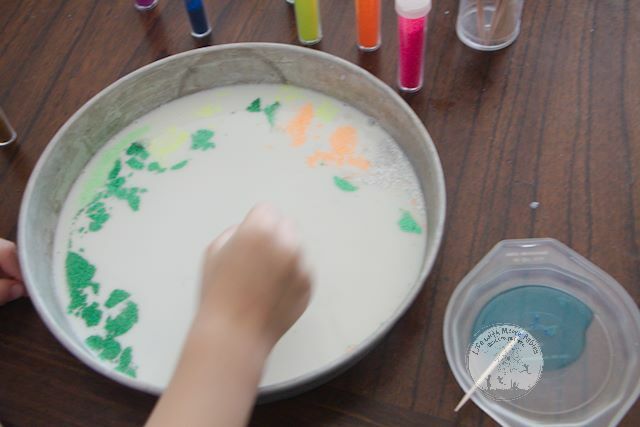 Start by pouring a small amount of milk in your shallow dish, enough to cover the bottom is plenty. I just poured a little dish soap on a paper towel, but you could use another dish or a plastic lid. Then dip a toothpick in the dish soap. Now get ready for the magic of science. 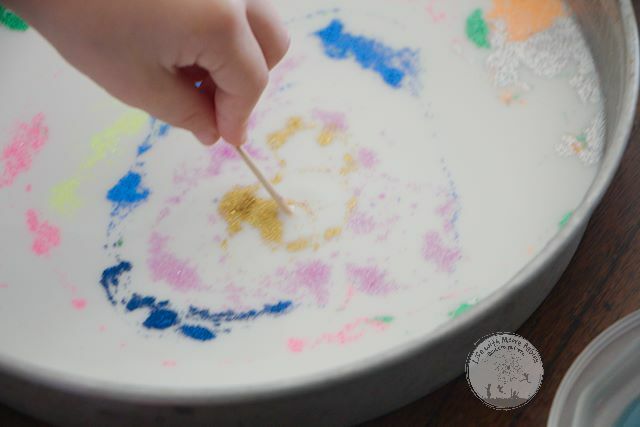 Dip the soapy end of the toothpick into the center of the glitter germs and watch them scatter! 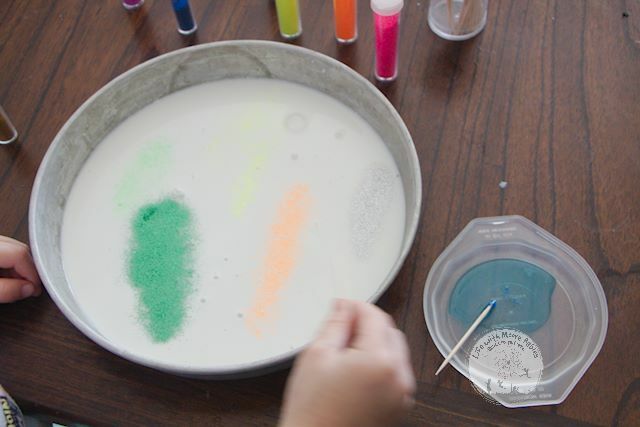 Repeat again and again and again; honestly you may run out of glitter before the kids get tired of scaring away germs. You have heard before that oil and water don't mix. This is true until you add soap. Soap is a special substance that has an affinity for both oil and water. This gives it the ability to "pick up" things on our skin and carry them away when rinsed with water. This includes germs that like to cling to our skin. So while soap does not kill the germs like antibiotics or even the garlic in the book, it is a super good way to decrease the number of germs you are dealing with in the first place. Fewer germs means fewer infections. 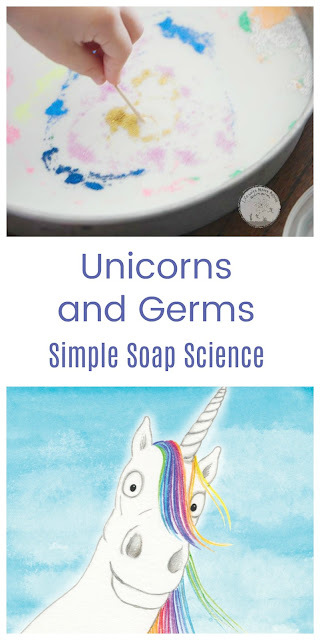 And with letting unicorns teach kids about using soap to get rid of germs, hopefully you will need fewer hand washing reminders.